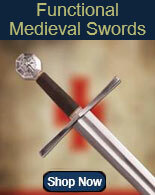 Narsil Swords for sale are the officially licensed replicas from the Lord of the Rings movies. Made by United Cutlery these are meticulously manufactured reproductions of the real swords used in the award-winning movie adaptation of JRR Tolkien’s classic, The Lord of the Rings. Narsil Swords are a massive 52 7/8th inches overall. 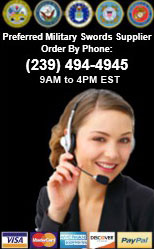 They feature a 40 5/8th inch, 420-stainless steel blade. The hilt offers an authentic leather-wrapped grip. The cross guard and pommel are crafted of solid metal with an antique silver-plated finish and 24K gold plated fittings. The pommel is engraved with runes in the Elven language of Sindarin. The design of the sword is based on the real film prop made by Weta Workshop of New Zealand. 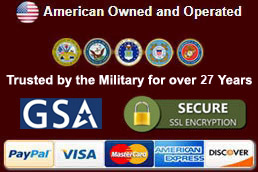 These popular swords include a Certificate of Authenticity and a wooden wall display plaque, which contains mounting hardware and directions. 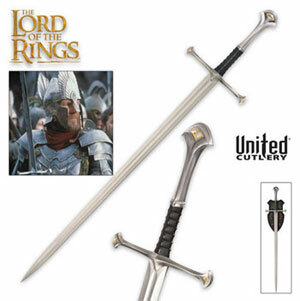 These are the officially licensed United Cutlery movie swords from the Lord of the Rings and the Hobbit Movies, a magnificent addition to any Lord of the Rings memorabilia collection. 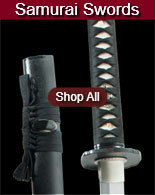 Buy these Narsil Swords for $259.99. Narsil Scabbards for sale are designed to fit the official Anduril Sword of Aragon and the Narsil Swords made by United Cutlery. The scabbard measures 44 5/8th inches in all and is meticulously crafted just like the scabbard that was featured in the popular Lord of the Rings movies and Hobbit films. It has a genuine leather wrap and real leather straps. It has a solid metal collar with solid metal fittings, buckles and tip which features a 24kt gold plated finish. 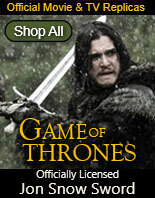 Displayed on the side of the scabbard is a metal plate that is inscribed with the word Anduril. 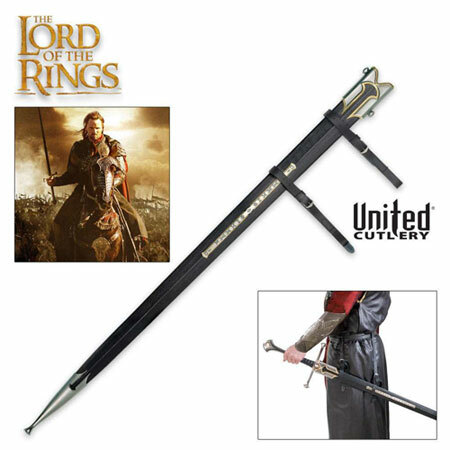 Buy the officially licensed Lord of the Rings Scabbard to fit the UC1380 and UC1267, the Anduril Sword and the Narsil Sword for only $139.99.